Response: Many women experience pain ranging from moderate to severe following cesarean delivery. Poorly-controlled post-cesarean pain can interfere with maternal-infant bonding and can delay recovery. Additionally, the current opioid epidemic in the United States warrants vigilance around opioid prescribing in the hospital and the potential for opioid misuse after surgery. Our findings suggest that the addition of a TAP block with EXPAREL to a multimodal pain management protocol provides effective and improved pain control without the need for high volumes of opioids for women undergoing cesarean deliveries. Data shows that the use of opioids to manage postsurgical pain poses risks to women. Women are 40 percent more likely than men to become newly persistent opioid users, putting them at risk for dependence and addiction. In this study, we found that 12% of women remained opioid-free, a very encouraging outcome. The data indicate that EXPAREL TAP block in a multimodal pain management protocol can have a real impact on reducing or eliminating the use of opioids while still providing superior pain control after cesarean delivery. Response: The study shows that EXPAREL TAP block has been proven to be an effective alternative to opioids for women undergoing cesarean deliveries, an especially important finding because women may be at higher risk of opioid dependence and misuse. It is imperative to continue to study the use of non-opioid options to manage postsurgical pain for multiple demographics during a variety of procedures. EXPAREL is available for many other surgeries, including oral, orthopedic, bariatric, colorectal and plastic surgeries, and can play a role in pain management protocols within each of these practice areas. 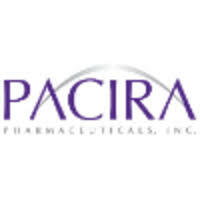 Pacira Pharmaceuticals provided support for this study.